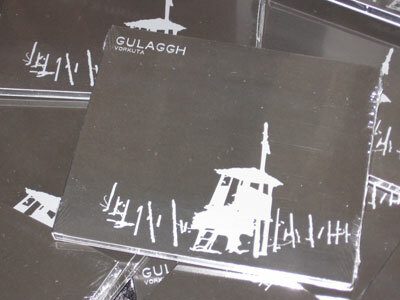 Technically, Vorkuta was Gulaggh's first album after their shift from the Stalaggh project in 2009. I'm sure, however, that I'm far from the only person who missed out on the mad din while the album promptly sold out from New Era Productions. Crucial Blast's new re-release is simple and classy: only silver ink on a solid black digipack. There's not nearly so much distortion here as there was back in the Stalaggh days, but this is still the sort of psychotic thing that makes the cat leave the room. Instead of the noise, the Dutch asylum artists have moved their chaos of screaming (which they credit to recordings from patients in a mental hospital, though that's of course unverifiable and, oddly, the "sane" are more likely to scream in chorus for extended periods) to the context of untutored and chaotic use of an assortment of traditional European "orchestral" instruments. 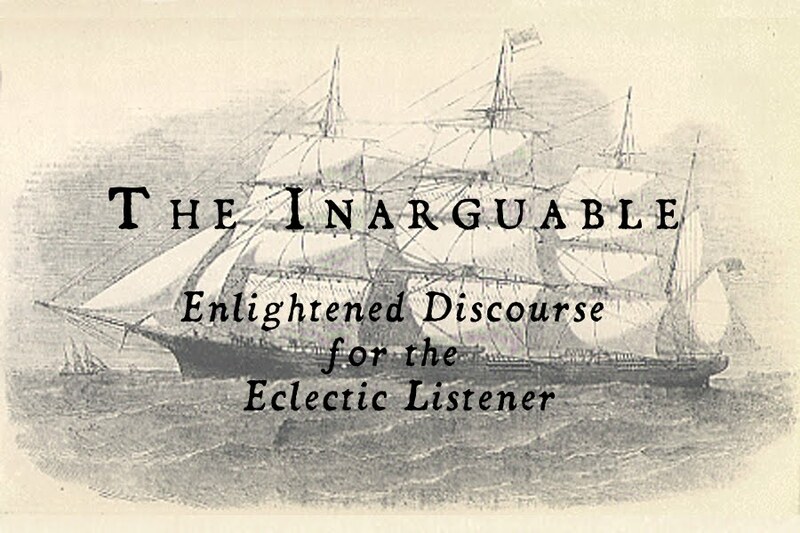 Violins croak and squeak with the characteristic bounces and open arpeggios of a novice attempting to divulge the inner workings of madness, a bass drum calls out a funeral tone, and muddied brass and winds lurch along in a mad parody of a march. Gulaggh really hit the nail on the head here with the heavy inclusion of higher voices screaming. "Vorkuta" is definitely the most solid instance of "composition based on a flowing structure around the sampled speech of a relentless foreign tongue, a chorus of the damned, and naive improvisation on an assortment of traditional instruments" I've yet heard. Valuable enough just because this album is the only instance of its genre. Antique Soviet torture doom. Our ethically-challenged public servants really need to step up their aural torture game from crappy rock music. Labels: 2013, Gulaggh, Noise, Review, Stalaggh, V.